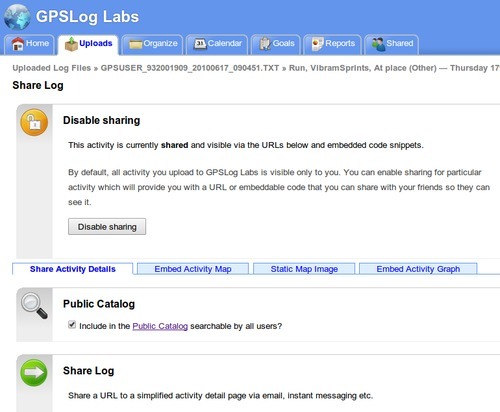 GPSLog Labs is now using HTTPS! Thanks to Let's Encrypt we were finally able to upgrade the site to improve your security and privacy. The pop-up feedback form can no longer be used, please visit the feedback page directly. The cycles map layer is also unfortunately not available over HTTPS and has been removed. If you notice anything that isn't working properly, please contact tom@gpsloglabs.com. The keyboard shortcuts make all these features much more useful as they're only a keypress away. A neat feature is if there is more than one possible graph/map to view in fullscreen, an overlay is added and you can press a number to select the one you're after. 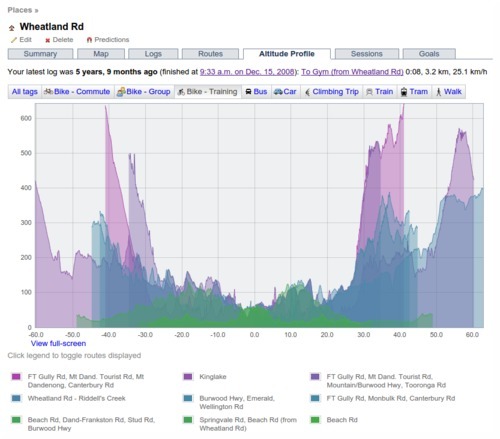 A new visualisation attempts to indicate which tags, places and routes are still in use and those that are "retired". This information is also used to hide suggestions for tags and places you are probably no longer using and gray out the retired tags from the add tag popup and quick find popup. These graphs have been made prettier and easier to read with the graph now rendered as a circle with ticks for the compass points. I've added axis labels to all the graphs, which will make all the grade 6 maths teachers out there happy, as well as making the graphs much easier to understand. 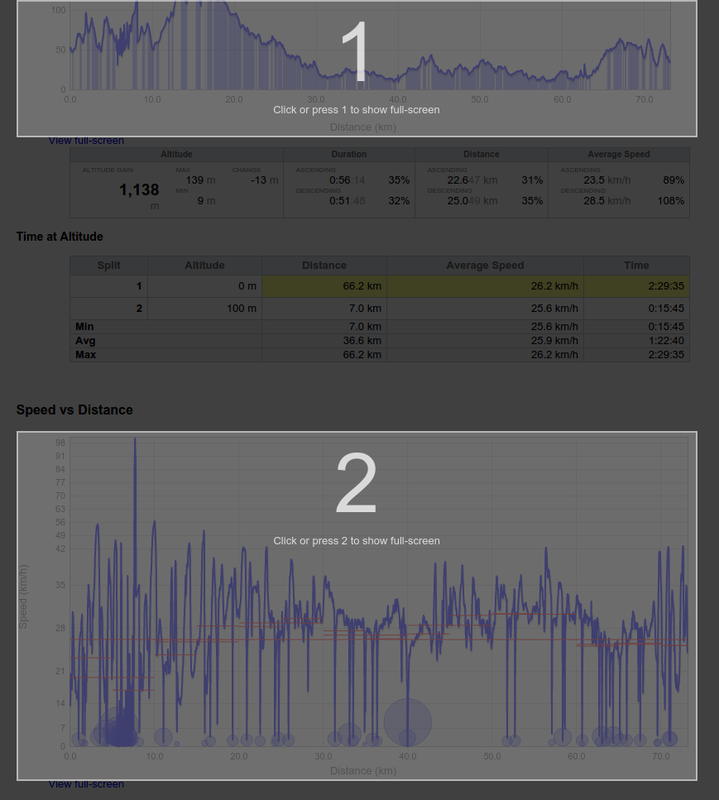 The goal, route and split detail trend graphs tabs have speed and heart rate histograms on them too now, which helps spot the trends better at a glance. 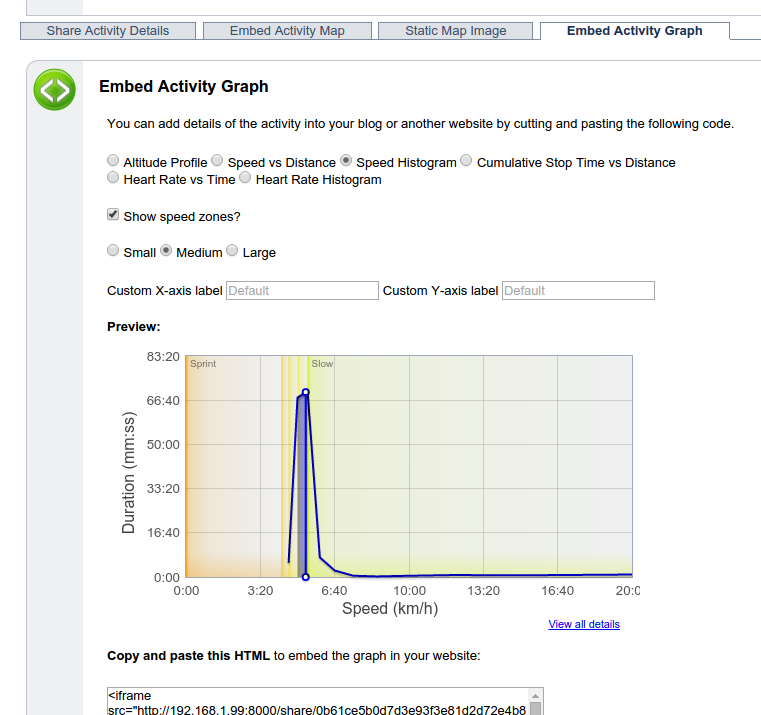 The embedded graphs you can share on your own sites now support speed and heart rate zones backgrounds as options, and also let you specify the text for the axis labels. 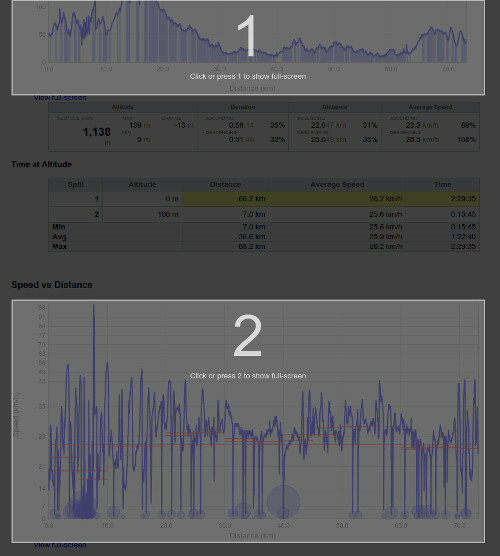 There's a new Laps tab on route split detail page that compares performance across sessions on activities with multiple laps, e.g. 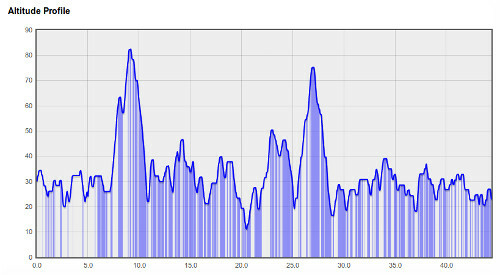 hill intervals or laps around an oval. Sharing Routes between multiple places. See the next post on Merging Routes for details. View best efforts in crossfilter. 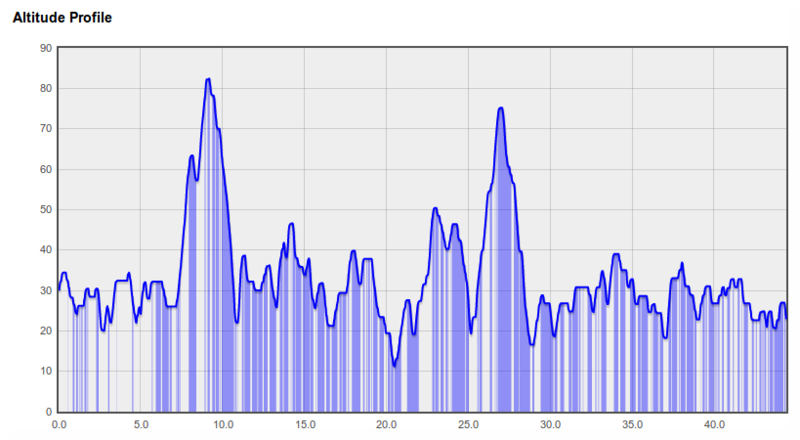 Tag crossfilters have got a bit more powerful and can now include best effort times. This one is a little experimental and I'll be refining it I'm sure. 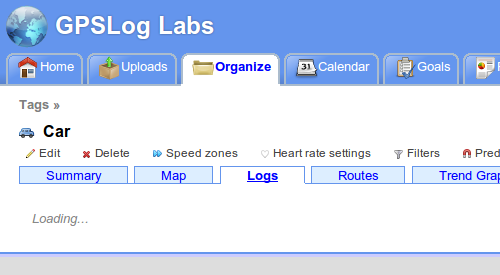 The idea is that GPSLog Labs will remember the edits you make to your uploaded activity (fixing unmatched places, assigning routes and tags) and speed up the editing process the next time by providing suggestions where it can. 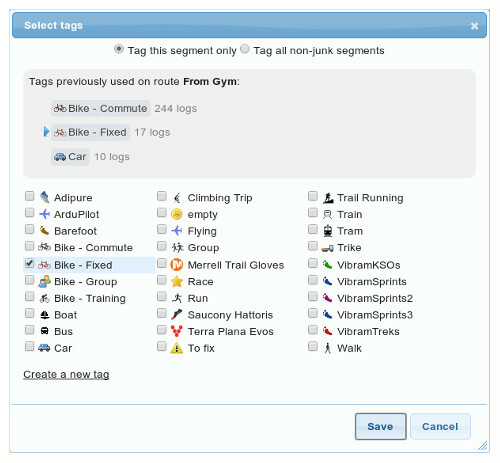 Selecting an option from the suggested edits will apply updates to the tags, route and start/stop places as necessary. 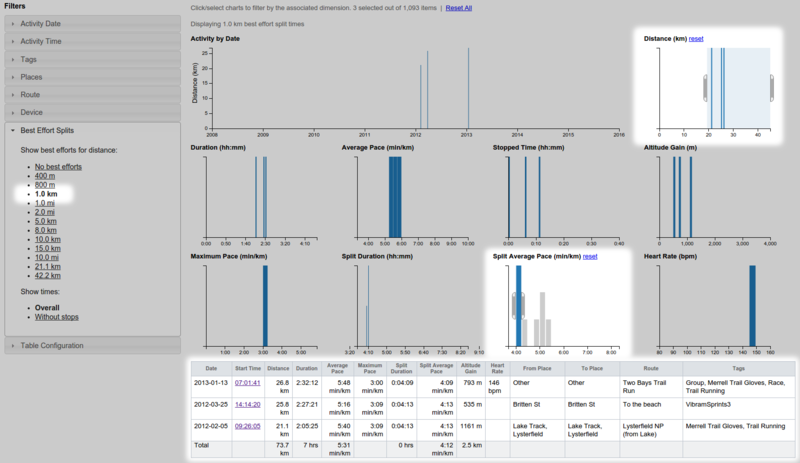 Activity feed projections iCal feed. 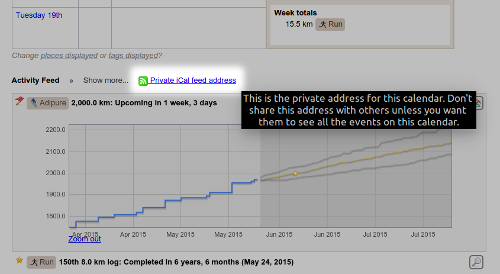 The Activity Feed on the home page displays dates you're projected to hit various milestones (distances, counts and goals) but it's pretty easy to overlook something interesting that's coming up. Now there's an iCal feed url you can add into your calendar to see these projections on your phone or somewhere else convenient so you can get a little kick of motivation when you're about to pass the milestone. 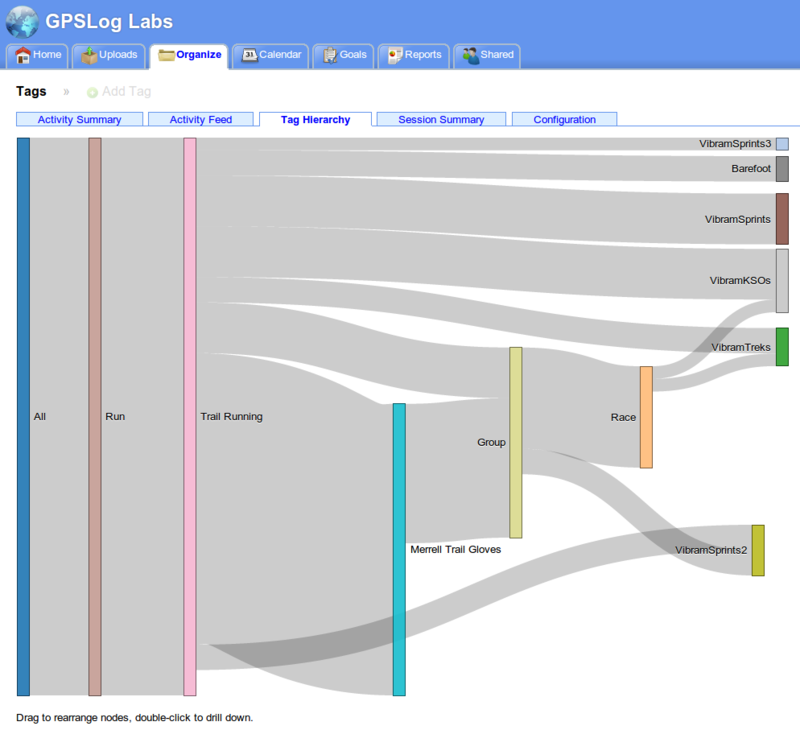 GPSLog Labs is now running on a new server - hopefully you'll notice it's faster! That took way longer than I'd hoped, but now that is done I'll have some time to add some new features so there should be more frequent updates again. The most significant change was to support a new OpenID version as Google is switching off the basic OpenID support that GPSLog Labs had used until now. Unfortunately, because of this change it's possible your account may not be associated correctly when you first log in and you may see a new empty account. You will not have lost any data permanently but will need to contact tom@gpsloglabs.com to have the issue corrected. If you notice any other issues after the update, please let me know. Colour scheme update — hopefully this one is pretty obvious. Let me know if you find any remnants of the old colours or aspects of the new scheme that aren't working. Tag crossfilter tab — This one is pretty neat. 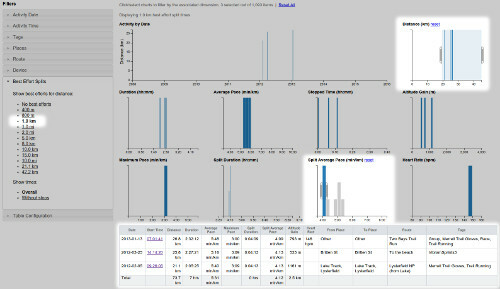 It uses the crossfilter library to provide an interactive exploration of the activity for a tag. 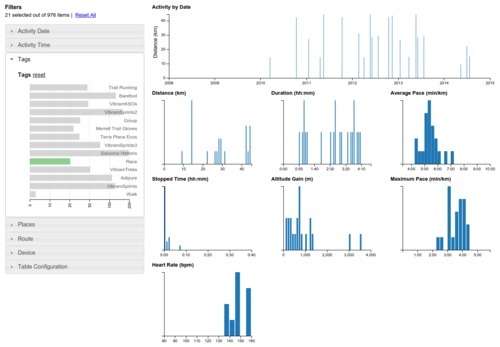 You can click or drag a range of values on any of the charts and it will drill down and update all of the other charts and histograms immediately based on the new selection. 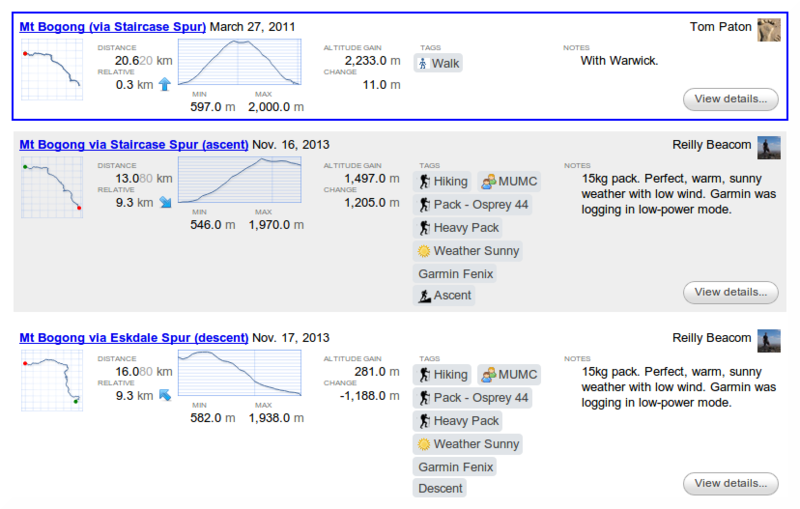 Filters are available for many parameters, such as the date and time of the activity, the places and routes involved. 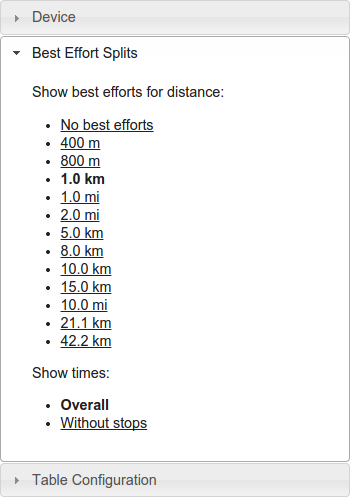 when was the last time I ran route X faster than 5:00 min/km? 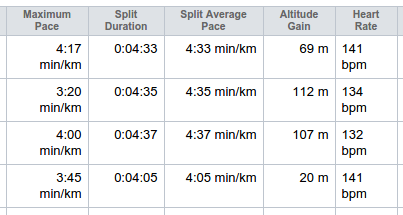 how many times have I run more than 30km? what routes do I ride on weekends? The table at the bottom of the page shows the details of the selected activity and you can click through from there to the activity detail pages. The columns can be switched on and off too, which is handy if you've filtered in such a way that the places or routes are not interesting and just wasting space. There are still a few rough edges, so expect some improvements to this page as time goes on and it will be available in other areas of the site soon too. 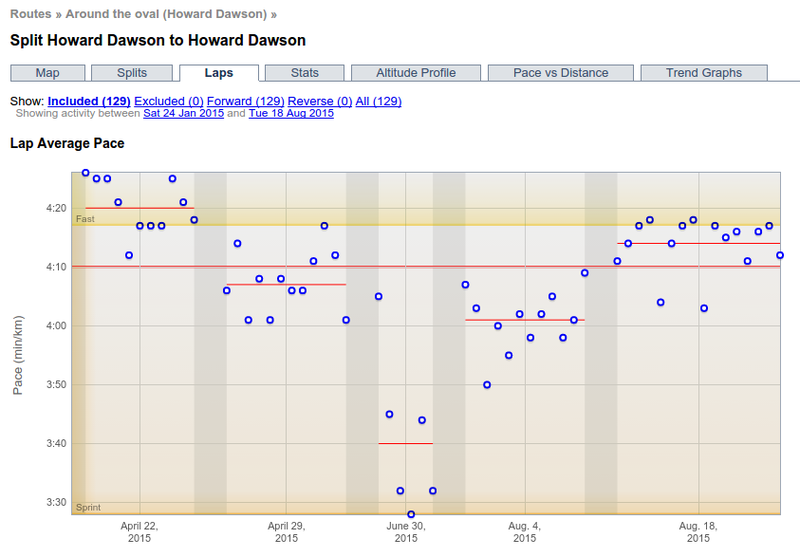 Place altitude profile tab — a semi-useful visualiation of the altitude profiles of routes to/from each place. 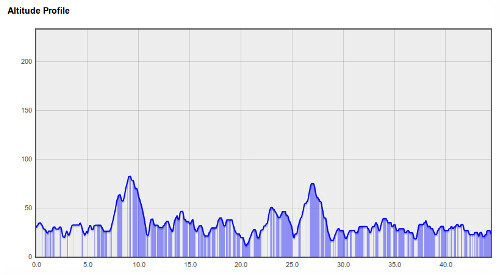 The place is at the 0km point, incoming routes are to the left, outgoing to the right. Added grid divisions to box whisker plots to help judge scale (15 sec increments for pace, 2.5 km/mile per hour for speed, 5 bpm for heart rate). Changed goal tasks iCal file to output all day events. This is a bit less convenient in the calendar, but it avoids timezone problems. The "At place" flag on a segment can be overridden if necessary. 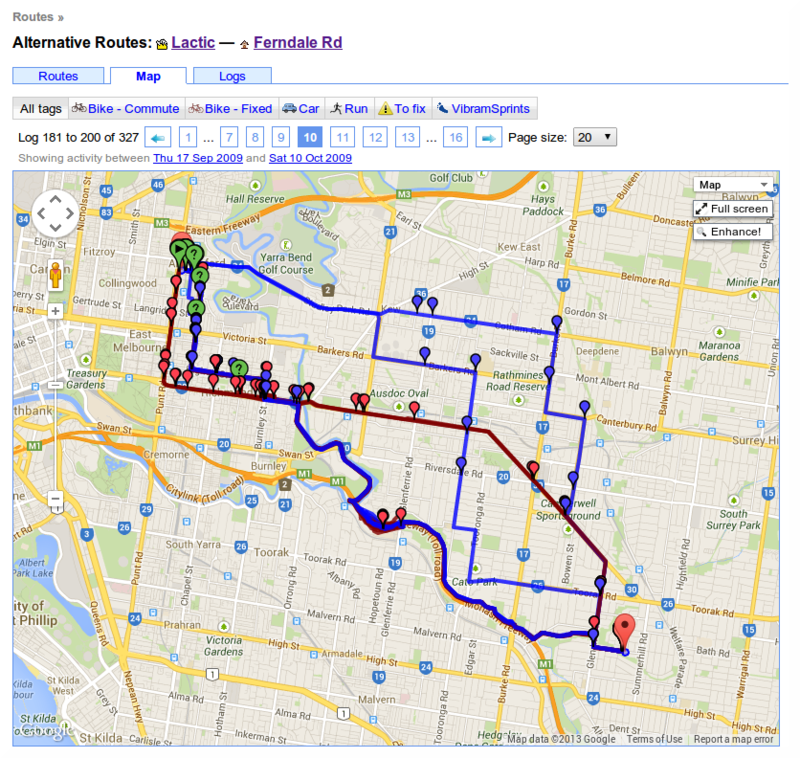 Click on the "At Place (x)" and click "Override and treat as a commute". Fixed auto-detect timezone button and a bunch of other little bugs. GPSLog Labs now has a public catalog of shared logs. 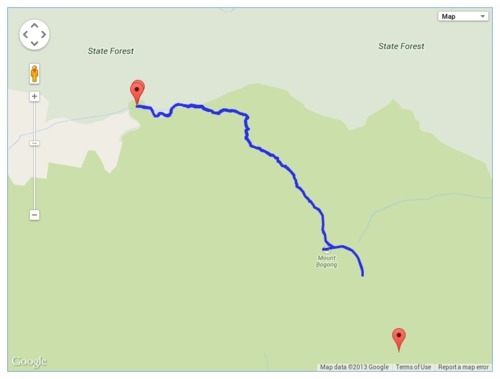 By zooming in on a region of the world map, you can see activity other users have shared and use it to plan your runs, rides and hikes. You can still choose to keep your activity entirely private, or share it with a specific group of people, but if you want to include your activity in the catalog, simply go to your shared content, edit the activity you wish to share, and tick the "Include in Public Catalog" checkbox. 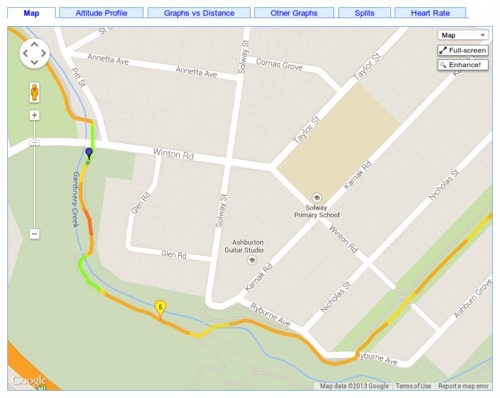 You can also now download shared activity as a GPX file which can then be loaded onto your device for navigation when you're out and about. 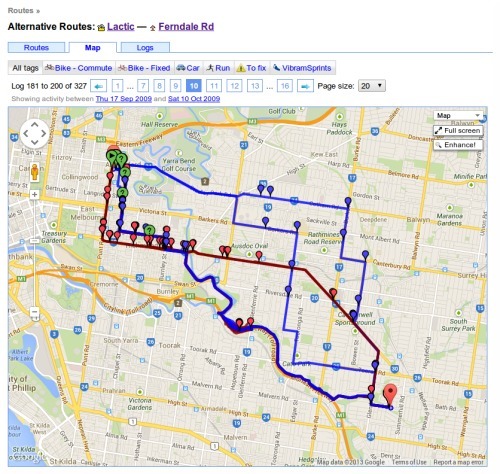 The route detail, route split detail and selection detail pages are now using a layout with a panel on the right hand side to better use the space on wider screens. Editing notes in the side panels now saves your changes without reloading the page. Also, I fixed a bunch of issues unfortunately introduced by the new dynamically loaded tabs. Apologies if you noticed things that weren't working properly for a while, and if you have any other issues, please let me know. When filtering a log file using a time or position filter, you can now copy nearby waypoints, rather than drawing the line each time. Once you zoom into/select the area to be filtered, click the "Search for nearby waypoints" button. This will list all the nearby waypoints and you can click on them to copy them into your filter. 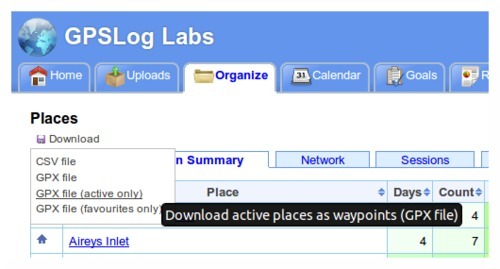 This search uses not only waypoints you've created before, but also those created by all the other GPSLog Labs users, so you can take advantage of paths others have marked and save yourself some effort. New forward vs reverse performance chart for routes. 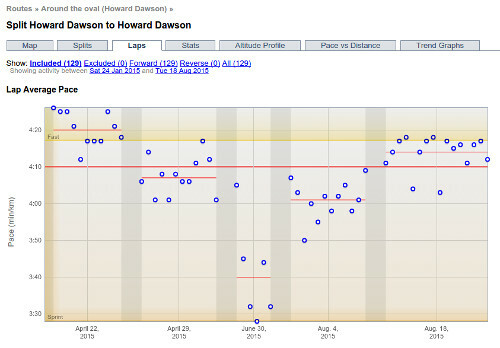 This graph compares the forward speed with the reverse speed for any days where you go in both directions on the route. E.g. a commute to and from work. 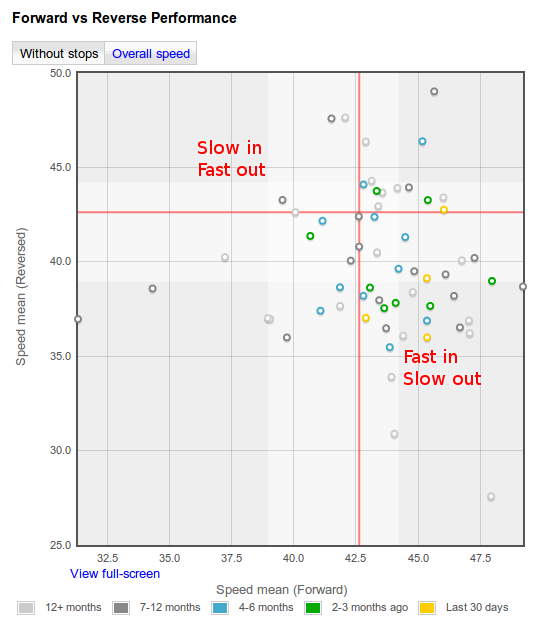 The shading on the graph represents the 25th—75th percentile of the data, the red line indicates the median speed. Download places as waypoints in a GPX file that you can load into your GPS to assist with navigation and route planning. The Places page has a new "Download" menu that lets you generate a GPX file containing waypoints for each of the places you have created. You can choose to get all your places, just the active places or just your favourites. This menu also incorporates the CSV download option which will get all your place information into a spreadsheet. Downloaded zip files now have modified dates of the files set to the current date/time. The tabs on various pages around the site now load dynamically, so you'll notice a little "Loading..." message after the tab is clicked. You can then quickly switch between the tabs without waiting for the whole page to load again. 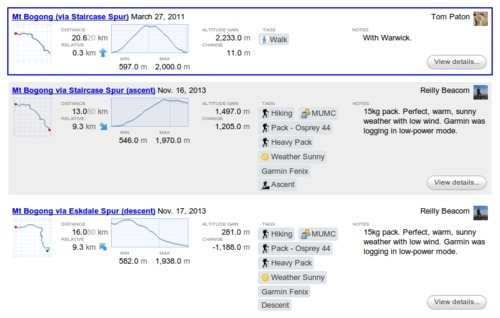 This is very handy when comparing the heart rate graph with the altitude profile or speed graphs, for example. Set a place radius to 1m to prevent it being used to cut activity without having to mark it as inactive. This will still allow you to select the place as a start/end point manually. This can be handy if you pass by a place on a regular commute and don't want to have to remove the stop from your processed activity. Speed zones can be displayed on maps. The "Enhance!" button on the maps has been converted into a dropdown menu, the old behaviour is now available from the "Unfiltered" option. The map on the activity detail page has a new option "Speed zones" which will colour the track on the map according to the speed zone. 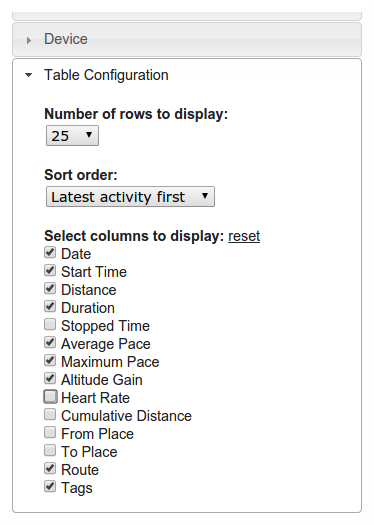 To enable this option, you'll need to configure speed zones for one or more of your tags. 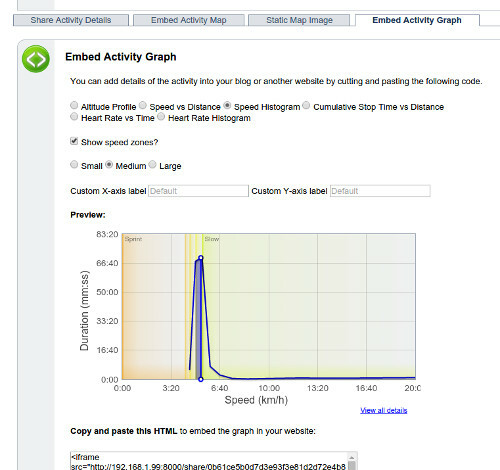 You can drag the tags around the graph to get a nice layout and double-click a tag to only include activity with that tag. The place network visualisation now has options to sort the places according to time of first or last visit, as well as by name and count of visits. You can once again edit activity notes directly from the log file activity editing page, rather than having to do it from the activity detail page. 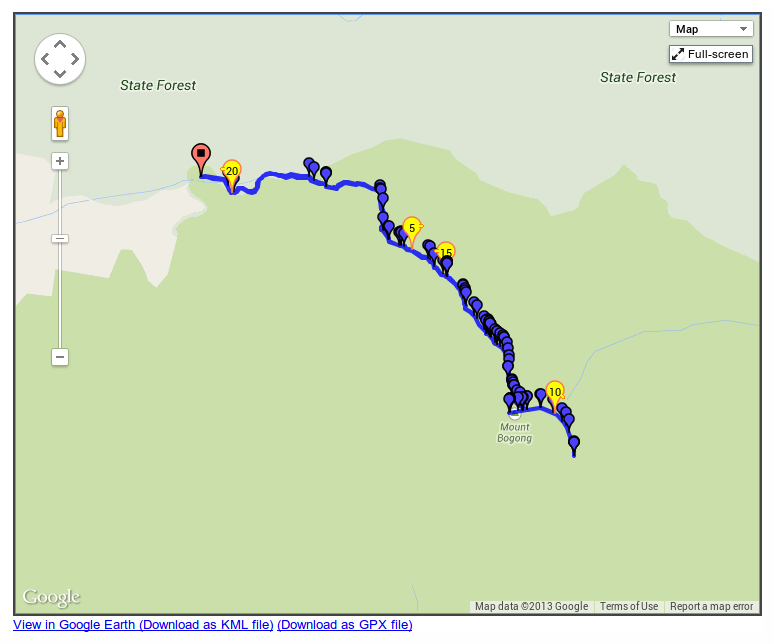 This page lets you easily see all logs between two places, you can access it by clicking the "Alternative routes" menu option on one of the routes between the places you're interested in. 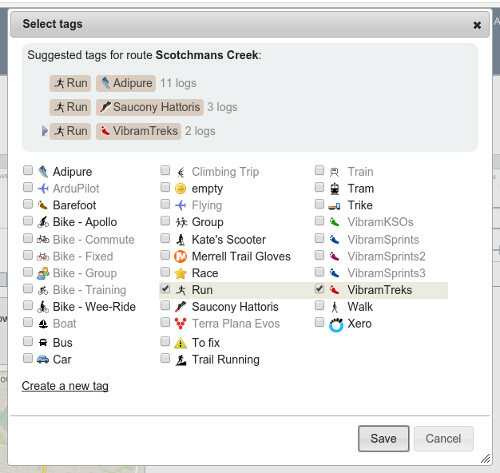 The session detail page has been updated with a better tag dialog and a layout that provides clearer indication of the activity that makes up the commute to and from the place and any activity at the place. 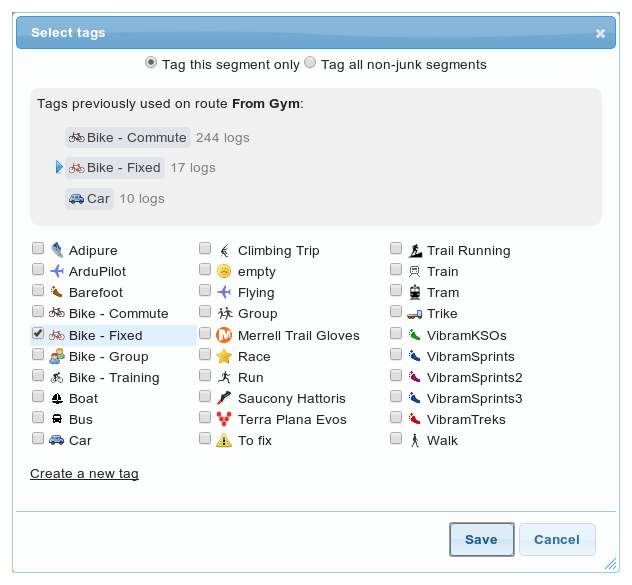 The Select tags dialog layout has been updated to show the list of tags in columns and selected tags are highlighted better now too, making it easier to use. The maximum exaggeration is limited to about 75 times, which seemed to offer a reasonable compromise that still shows the hills in some detail without ending up totally flat when the distances is very large. Fixed a bug so tasks added to duration-based goals are correctly displayed in hours. 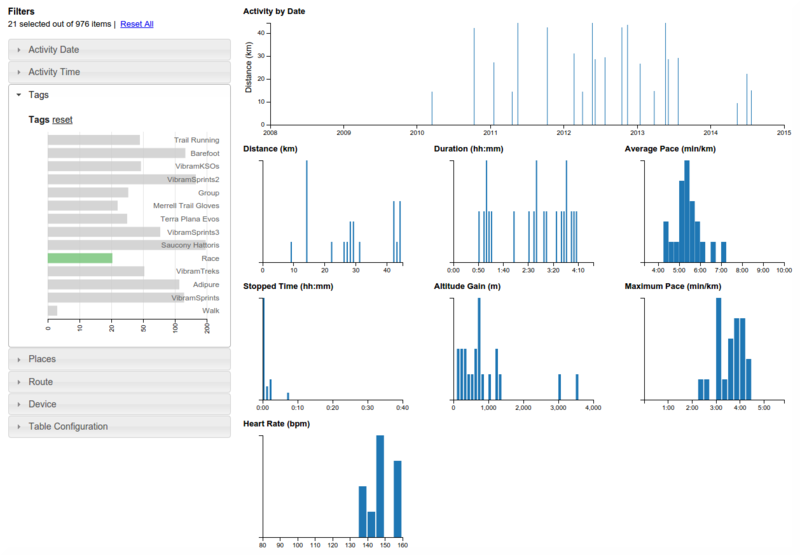 Fixed a bug so that activity details are displayed correctly if all points were removed by a filter.